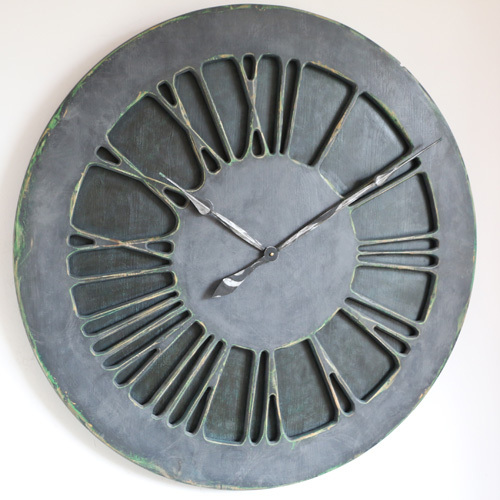 The classic Denim Wall Clock handmade from two large panels of sustainably sourced pine wood. 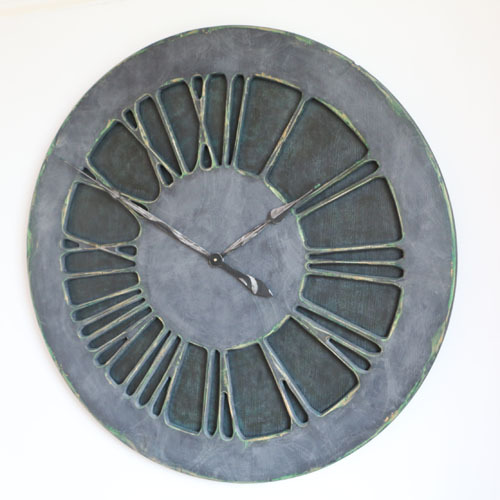 The clock face is displaying carefully crafted Roman Numerals on a hand painted “Denim” background. 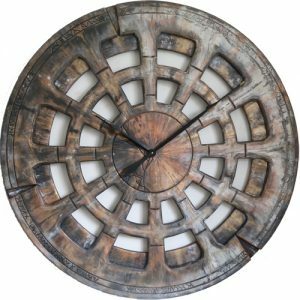 With a total diameter of 30-48″ and its unique features, it will be an extraordinary and modern addition to your house. 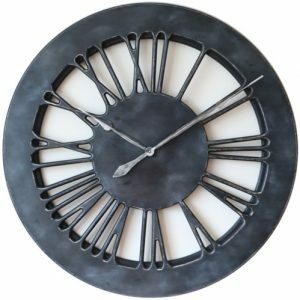 We designed this unique denim wall clock for a masculine environment but it should fit most contemporary interiors. 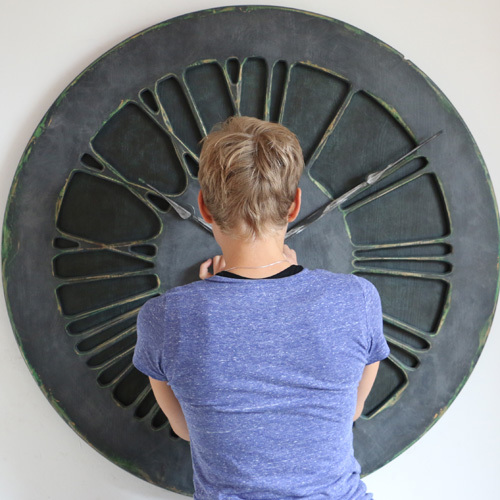 Do you want to make a bold statement and impress your visitors with the unique and sophisticated piece of wall art? 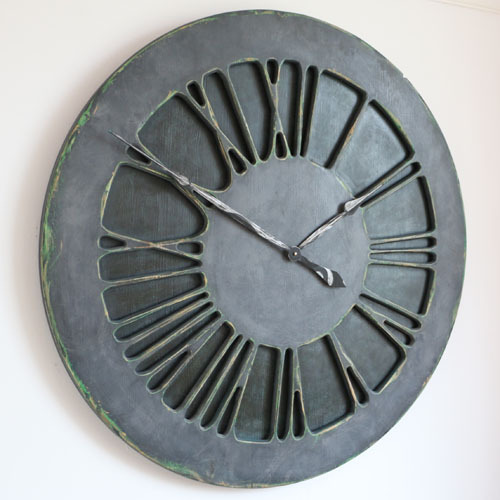 We are sure that any of our roman numeral clocks will meet the most demanding requirements. 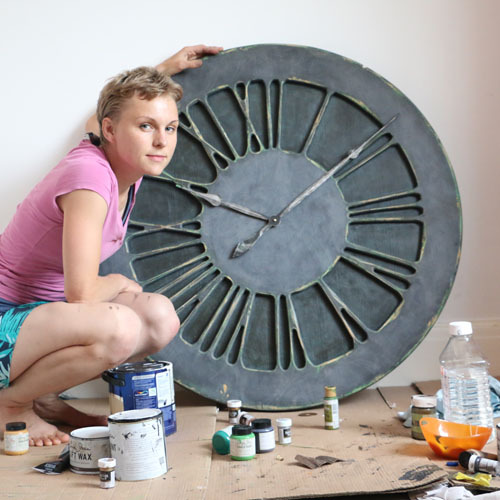 We made this stunning timepiece from two large panels of pine wood that are bolted together. This provides beautiful, natural and three dimensional character. 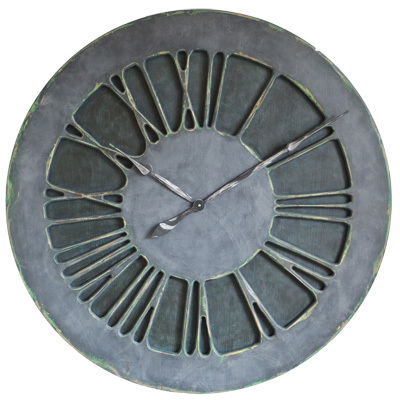 The front of the clock is displaying slate Roman Numerals and we complemented it by the deep dark background. 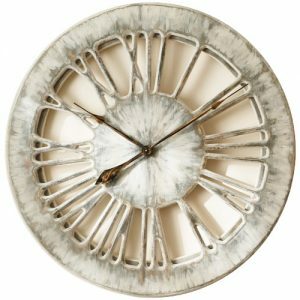 The mechanism is very powerful and silent Quartz sweep movement. It only requires a single C Cell battery that should last for 9 months. When you receive the clock you need to attach both hands and set the time by following this short demonstration on Youtube. 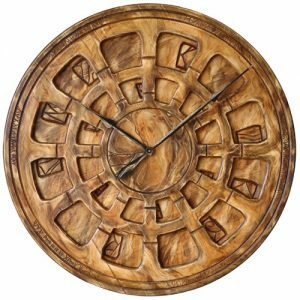 The Peak Art wall clocks are unique and expensive pieces of art. 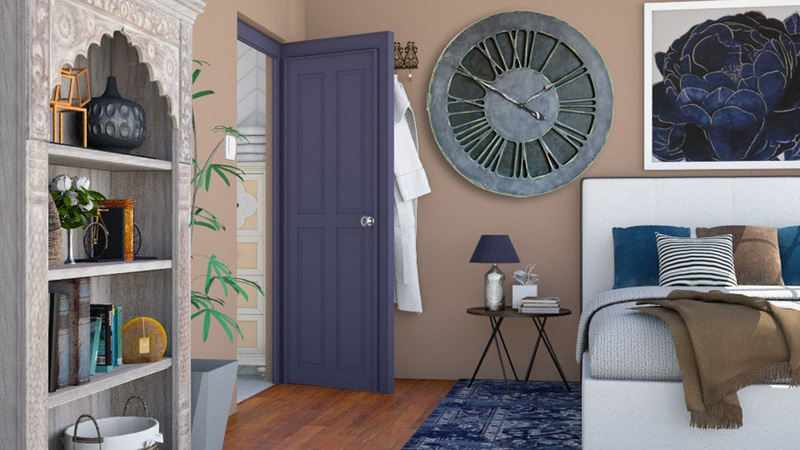 They will come to your mind when you start renovating your living space. You can mount them in any room in your home, office, hotel or luxurious penthouse apartment. Regardless of where you decide to display any of our products, please keep them away from direct heat sources. Please also avoid moisture because it can reduce the lifetime of the mechanism. Join thousands of people in our Facebook Community and share your comments with us. 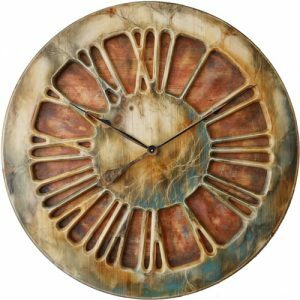 If you search Google for Handmade Statement Wall Clock you will see Peak Art leading this niche market. Any other products of this size and functionality are typically factory made mass production.